Dogs are basically scavengers, and they like "sampling" different foods, some may be poisonous to them! 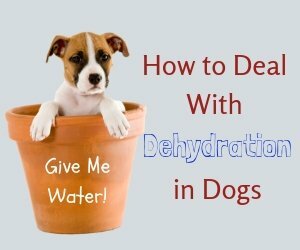 As dog parents, it is quite possible that you have to deal with poisoning in your dog. So it makes sense to be prepared! Then call your veterinarian or a poison control center immediately. What caused the poisoning and how much was ingested? When was the poison ingested? What are the symptoms caused by the poisoning? If you know what poison has been ingested, can you name the active ingredient of the substance (e.g. from the container)? Follow the instructions of the veterinarian or the poison control center. Depending on the poison ingested, the vet may instruct you to induce vomiting, so always keep some activated charcoal, 3% hydrogen peroxide, syrup of Ipecac, and vegetable oil on hand. the poisonous substance was ingested more than 2 hours ago. Instead of inducing vomiting in the above situations, get the dog to a veterinary facility for treatment immediately. So how can you tell if your dog has ingested something poisonous? Depending on the substance, the signs varied. You may say there are many things that will make a dog drool, vomit, be lethargic or have convulsions. 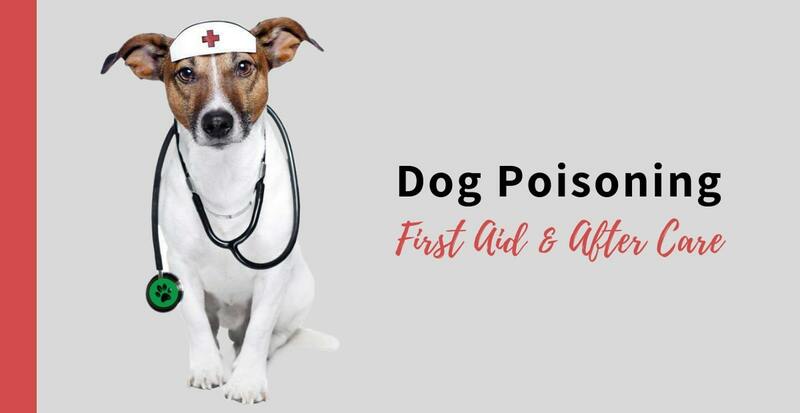 It's true, but if your dog is healthy, and does not have central nervous system problems resulting from trauma, high fever or distemper, etc., the above symptoms point to the fact that your dog is very likely showing signs of poisoning. 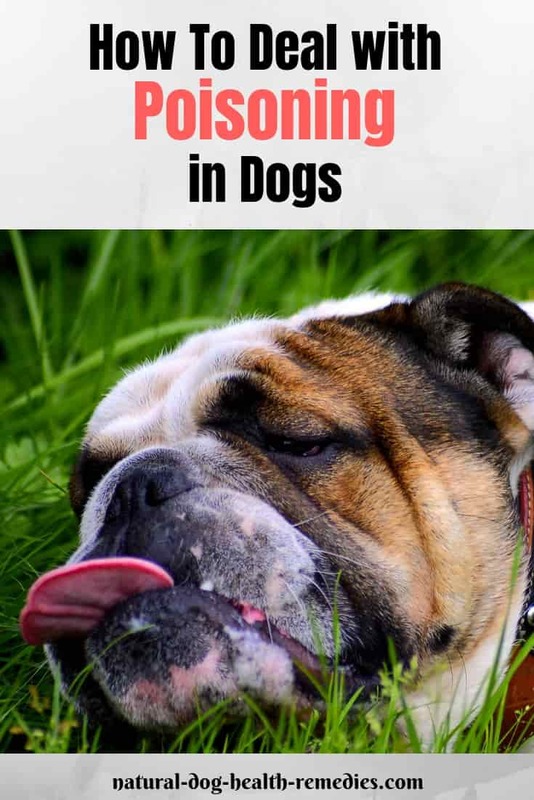 Go to this page to read more about some common substances that can cause dog poisoning, and the specific signs of poisoning for each substance. Even if your dog is lucky enough to have survived the ordeal of poisoning, it is highly likely that some major organs have been damaged and various metabolic processes have been disrupted. The most likely organ that will suffer damage from poisoning is the liver and possibly, to some extent, the kidneys. The liver is the major organ responsible for the breakdown of toxins. It follows that an overload of toxins can cause severe damage to the liver. In fact, some pets die not from the initial poisoning, but from a breakdown of function of this vital organ. One of the ways the liver helps to rid the body of toxins is to chemically alter them so that they are more water-soluble for excretion by the kidneys (and to some extent the skin). But sometimes, these breakdown products, or metabolites, will sequentially attack the central nervous system and damage the kidneys. It is important, therefore, that "repair work" be done to the liver and the kidneys after the ordeal of dog poisoning. Milk thistle: The primary constituent, silymarin, and other related compounds of this herb support and protect the liver by acting as antioxidants. They strengthen the liver cell for resistance to harmful toxins while stimulating cell reproduction. Licorice: Licorice is beneficial in treating liver toxicity. It also acts on the digestive system by promoting cell growth and alleviating ulcers. Cleavers: This herb is a safe diuretic. It is anti-inflammatory, good for the lymphatic system, and it helps the body to get rid of toxins and their metabolic by-products. Burdock: Burdock is a highly effective herb for the detoxification of the body. It can remove toxic substances and can be used as a long-term nutritive liver tonic to clean and build the blood. Red Clover: Red clover contains highly nutritive constituents that have blood cleansing properties, it is therefore an excellent herb for elimination of accumulated toxins in the bloodstream. Hawthorn: Besides being an excellent antioxidant, Hawthorn as a vasodilator also helps improve blood circulation of the kidneys. Corn silk: Corn silk is an effective herb for treating chronic inflammation of the urinary tract or kidneys. It is useful for improving kidney function during the early onset of kidney failure. Echinacea: Echinacea, the most effective herb to balance the immune system, can be given to your dog to give his immune system a much-needed boost after the ordeal of poisoning. This herbal formula contains herbs such as burdock, red clover, slippery elm and is an excellent herbal remedy to cleanse the blood, organs, and muscles of toxic substances. This milk thistle herbal tincture is glycerine-based (not alcohol based) so it is safe and easy to administer to dogs. It can be used to strengthen and support liver functions in dogs.